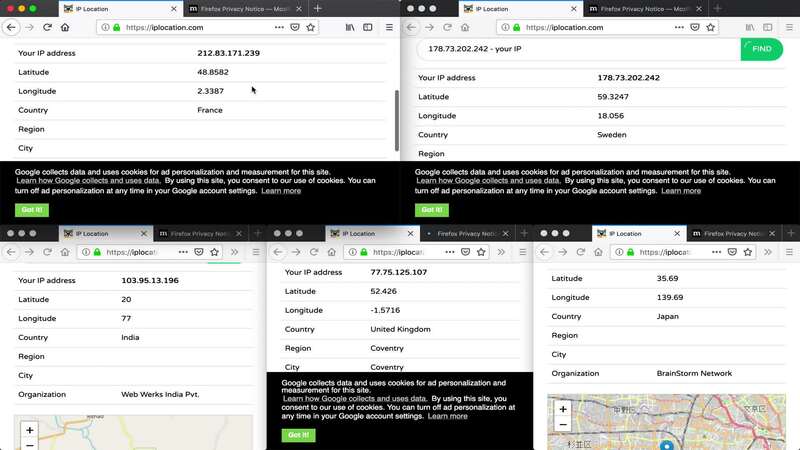 Here’s a method for having several browser windows proxying through several countries concurrently. MacOS isn’t a requirement per se but this guide & accompanying scripts are written for it. Download this package containing Dockerfile build instructions & some scripts. 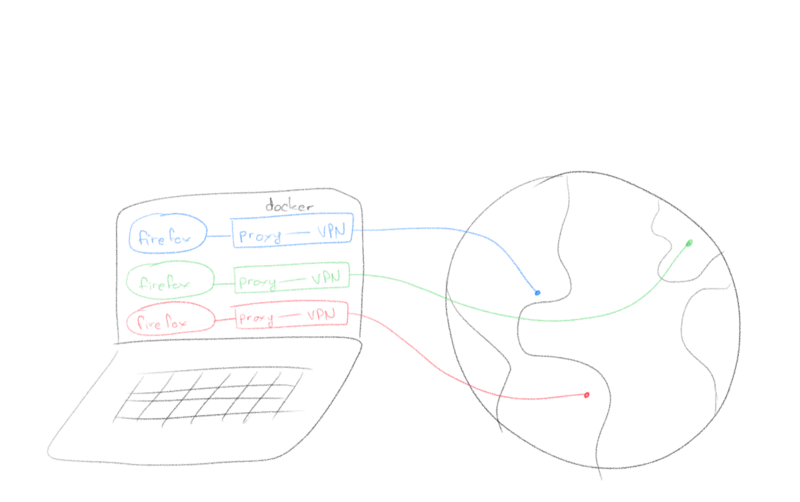 Populate the directory “openvpn_config_files/” with the ovpn files from the VPN service you use. Edit the script called “vpn” and replace <VPN_SERVICE_USERNAME> and <VPN_SERVICE_PASSWORD> with your username and password.